Through inspired and elegant design, Tentwenty created a website for DIFC that is as practical as it is enjoyable to browse. Ever concerned with detail, Tentwenty was able to make information easily available despite the depth and variety of the content offered. 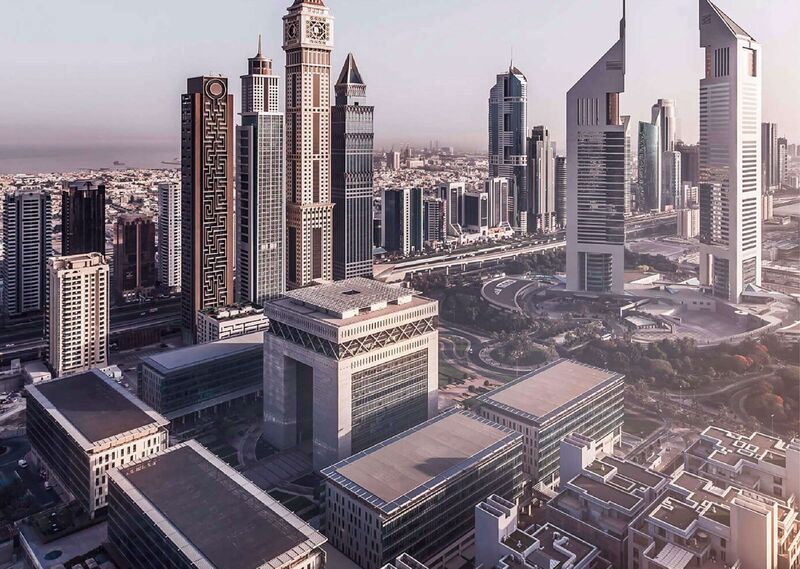 DIFC Connect will offer an interactive platform that provides users with the latest DIFC news and other features to help them navigate around the Centre. Users will be introduced to the numerous means of transportation to and from the Centre, as well as a wayfinding selection; directory of all retailers, galleries and F&B outlets; and a calendar of events. The unique aspect of the DIFC is the synergy between its two main audiences, Corporate & Community. Regardless if you're living in the DIFC or working, we wanted the app to provide you the best of both worlds. Therefore the app has a homescreen that is tailored to your profile. Do you live in the DIFC? Then you'll offered with F&B venues, Retailers and Community News & Events. Do you work in the DIFC? Browse the Public Register, the Legal Database or the best place to lunch in your afternoons. Promoting F&B and Retailers in the DIFC based on the time of the day. Enjoy your breakfast at a coffee corner, or your fine dining at one of the exclusive restaurants. A clear directory of retailers and F&B easy to navigate through with filters and sorting. Favourite a restaurant, check-in or navigate yourself to there. From corporate event to art nights organized to entertain the community. The event listing allows you to add events to your calendar and share them as well. Having just joined the Dubai International Financial Centre (DIFC), my first major task was a complete overhaul of the corporate website and the deadline was extremely tight. After a very thorough process, TenTwenty were selected and honestly, we couldn’t have chosen a better partner to work with. They worked day and night, were extremely creative, easy to work with, no matter the issue that was thrown at them they had a solution, and the outcome was awesome! Andrew Jack. Manager Digital Marketing DIFC.